Manzanita Home+Flowers+Gifts, originally opened as Manzanita on Main in 2014, is now in the location of owner Lou Ann David’s plaza shop known since 1982 as Flower Tyme. This reimagined shop focuses on artisan works from the USA and around the world with an emphasis on the elements of nature and remains a full-service florist. 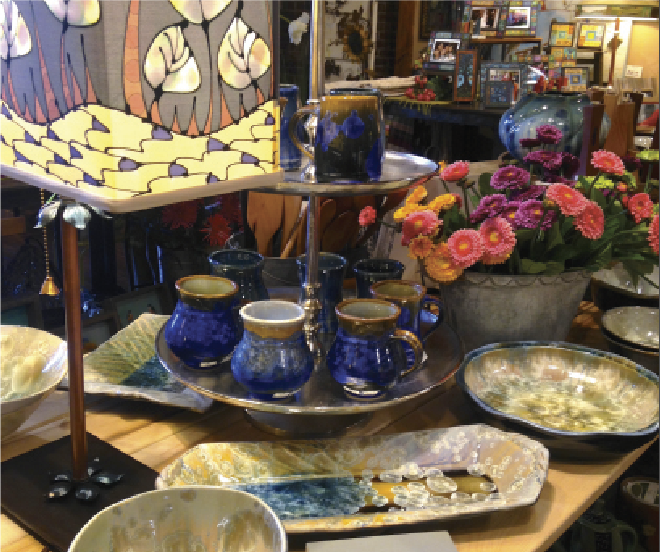 Campbell Pottery, Chilewich textiles, Anna Wright artwork, and seasonal RV grown flowers are just a few of the treasures found at Manzanita.